The bsnmpd daemon serves the internet SNMP (Simple Network Management Protocol). It is intended to serve only the absolute basic MIBs and implement all other MIBs through loadable modules. In this way the bsnmpd can be used in unexpected ways. -d Do not daemonize. Used for debugging. -h Print a short usage message. -c file Use file as configuration file instead of the standard one. Debugging options are specified with a -o flag followed by a comma separated string of options. The following options are available. dump Dump all sent and received PDUs to the terminal. events Set the debugging level of the event library (see eventlib(3)) to 10.
trace = level Set the snmp library trace flag to the specified value. -e file Specify an alternate file where the agent's engine id and number of boots are saved. -I paths Specify a colon separated list of directories to search for configuration include files. The default is /etc:/usr/etc/:/usr/local/etc. These paths are only searched for include specified within <> parentheses. -l prefix Use prefix as the default basename for the pid and the configuration files. -p file Specify an alternate pid file instead of the default one. If a line is too long it can be continued on the next line by ending it with a backslash. Empty lines and lines in which the first non-blank character is a "#" sign are ignored. All MIB variable assignments of the entire configuration (including nested configuration files) are handled as one transaction, i.e., as if they arrived in a single SET PDU. Any failure during the initial configuration read causes bsnmpd to exit. A failure during the configuration read caused by a module load causes the loading of the module to fail. The configuration is read during initialization of bsnmpd, when a module is loaded and when bsnmpd receives a SIGHUP. The string reaches from the first non-blank character after the equal sign until the first new line or "#" character. In the first case the string is assigned to the variable unconditionally, in the second case the variable is only assigned if it does not exist yet. Variable names must begin with a letter or underscore and contain only letters, digits or underscores. Where secname is the name of the section. The same secname can be used in more than one place in the configuration. All of these parts are collected into one section. The first form causes the file to be searched in the current directory, the second form causes the file to be searched in the directories specified in the system include path. Nesting depth is only restricted by available memory. oid is the name of the variable to be set. Only the last component of the entire name is used here. If the variable is a scalar, the index (.0) is automatically appended and need not to be specified. If the variable is a table column, the index ( suboids) must be specified. The index consist of elements each separated from the previous one by a dot. Elements may be either numbers, strings or hostnames enclosed in  brackets. If the element is a number it is appended to the current oid. If the element is a string, its length and the ASCII code of each of its characters are appended to the current oid. If the element is a hostname, the IP address of the host is looked up and the four elements of the IP address are appended to the oid. The value of the assignment may be either empty, a string or a number. If a string starts with a letter or an underscore and consists only of letters, digits, underscores and minus signs, it can be written without quotes. In all other cases the string must be enclosed in double quotes. where variable is the name of the variable to substitute. Using an undefined variable is considered an error. /etc/<prefix >.config Default configuration file, where the default <prefix> is "snmpd". /var/<prefix >.engine Default engine id file. 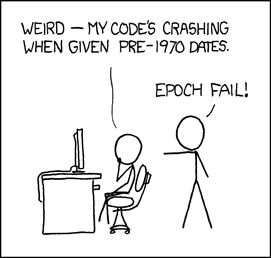 /var/run/<prefix >.pid Default pid file. /etc:/usr/etc/:/usr/local/etc Default search path for system include files. Definitions for the MIBs implemented in the daemon. /etc/hosts.allow, /etc/hosts.deny Access controls that should be enforced by TCP wrappers are defined here. Further details are described in hosts_access(5). The bsnmpd conforms to the applicable IETF RFCs.